The June 1959 edition of Motion Picture magazine included a feature detailing the tales of how eight big-time stars of the day got their first jobs. This issue of Motion Picture is one of the most recent additions to my vintage movie mag collection, so today I thought I’d share some snippets of this fun little article with you! From stocking grocery shelves to selling newspapers… the stars, they’re just like us! At the age of 15, Tony Curtis’ dad urged him to get a job so he could “learn what people have to do to earn money.” He snagged a job at the shop of a clock and watch-maker, and his only task was to sweep up the shop. He was totally clumsy, frequently knocking over trays of in-progress wrist watches, and once tripping over his shoelaces, ruining the wooden case of an expensive, heavy clock. Tony tells the mag that for the rest of his life, he was sure to wear short shoelaces! 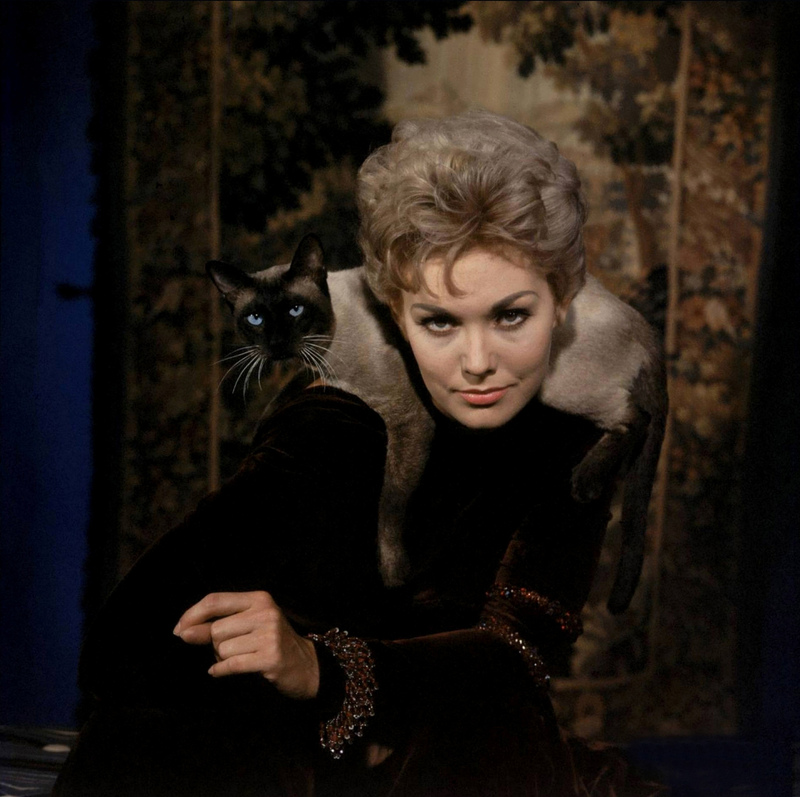 Certainly the most unexpected job in the bunch, Kim Novak’s first gig was as a baby model! Her mom snagged the job for her when she was just six months of age, and she posed for an advertising campaign for some company that sold products targeted to mothers. The company isn’t named, and Kim states that she didn’t know what they ended up doing with the photos, but her mother received a $10 payment for the photo session. Eddie Fisher’s first job was as a bodyguard… for produce! At the age of 10, he got a gig at his father’s fruit and vegetable stand. His job was to stop the shoppers from squeezing the produce too hard and bruising or puncturing it. His most frequently-used tactic was to shout “EVERYTHING IS RIPE!,” which wasn’t very effective. Growing up in Brooklyn, in a not-very-well-off family, Susan Hayward took to selling newspapers at the subway station at the young age of 11. But these weren’t newspapers fresh off the presses — they were yesterday’s newspapers, which she’d plucked out of trash cans. You’ve got to admire her entrepreneurial spirit! After customers complained, she “reformed” and began selling newspapers that were actually current. Millie took over her sister’s receptionist job for four weeks, while her sister was on vacation. And it was a total disaster! She expected the job to be exciting, with big stars like Cary Grant and Ginger Rogers stopping by the office. Instead, she got a stressful job, with technology she couldn’t quite master (a buzzer panel with 32 BUTTONS!) and tedious tasks such as filing to complete. But it all worked out in the end: on her last day, a model scout showed up and asked her if he could take some head shots of her. A career was born. 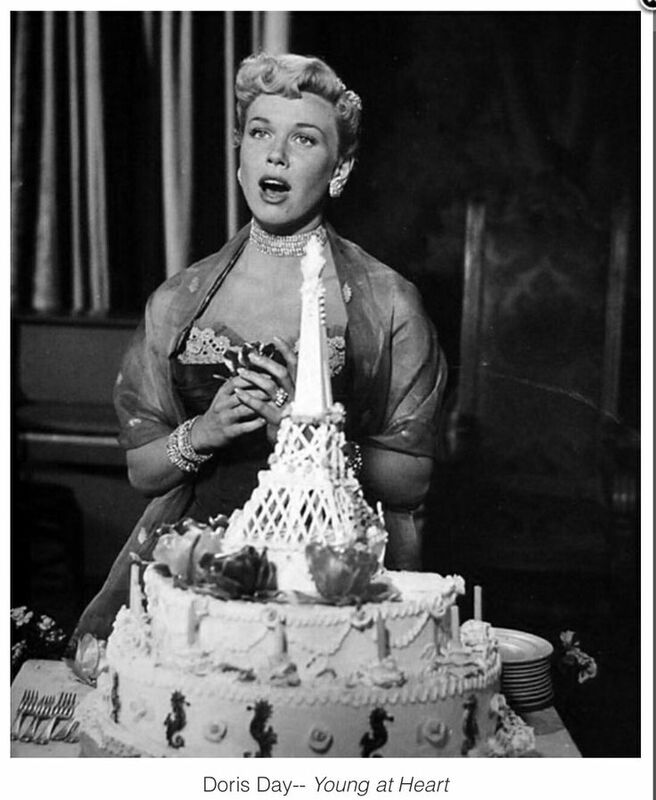 Doris Day was known for her sweet and wholesome public persona, and her first job was just as sweet. She worked at her uncle’s bakery, according to Motion Picture. The job didn’t last in the long-term (because she snagged and ate a few too many baked goods when her uncle wasn’t looking! ), but it was memorable. In the mag, Day recounts a story of how she allowed a young boy to have two cupcakes for free, to give to his mother for Christmas. When her dad told her that she wasn’t ready to move to New York and become an actress, Joanne Woodward took matters into her own hands, taking a secretarial job in Greenville, North Carolina to earn money for a big move to the Big Apple. Joanne describes being terrible at the job — so terrible that she got fired, after miscalculating the finances and accusing the bank of making a major error on the company’s checking account balance. Lewis says that at the ripe ol’ age of 13, he had his heart set on a new red bicycle. The local bike-seller/gas station attendant, apparently a sweet old man, agreed not to sell the bike to anyone else, hoping that Jerry would some day be able to come in and buy it. To save up for the bike, Jerry got an after-school job at the local vegetable store, stocking the veggies and sweeping the floor. He tells Motion Picture, “The worst part was the potatoes,” which were delivered in 100-pound bags — heavier than 92-pound, teenage Jerry!